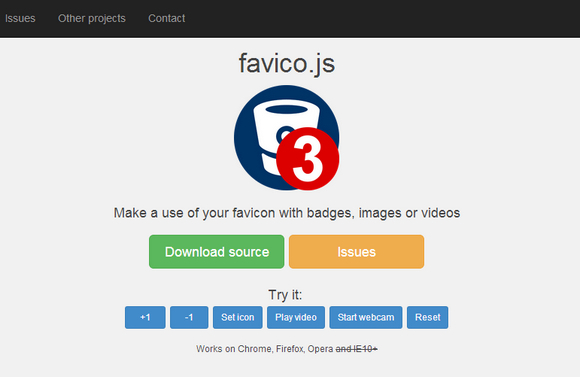 Favico.js make use of your favicon with badges, images or videos. You can easily animate your favicon with animated badges. You can customize type of animation, background color and text color. It supports animation like slide, fade, pop. All code is open source and dual licensed under GPL and MIT.